Posted on 27, August 2018 by EuropaWire PR Editors | This entry was posted in Defence, Industrial, Management, Transportation & Logistics, United Kingdom and tagged BAE Systems, Dave Thomas, guided-missile cruiser, modernization program, ship repair, shipyard, U.S. Navy, USS Gettysburg. Bookmark the permalink. Farnborough, United Kingdom, 27-Aug-2018 — /EuropaWire/ — The Gettysburg will undergo about 15 months of work at the company’s shipyard in Norfolk, Virginia, the ship’s homeport. The contract includes options that, if exercised, would bring the cumulative value to $151.3 million. 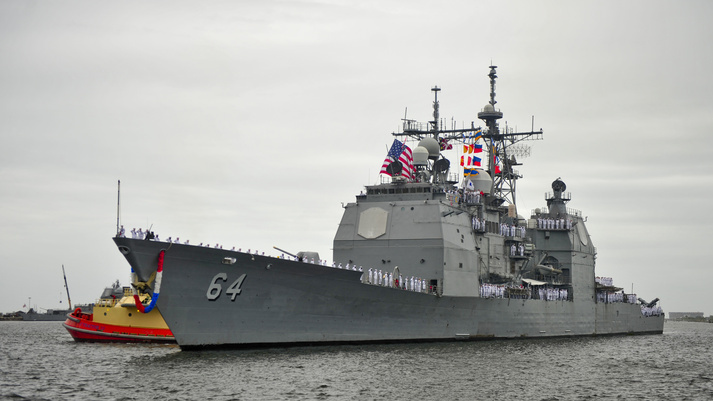 Under the new contract, BAE Systems will upgrade the ship’s weapons and engineering equipment; support the installation of a new Aegis combat system, new communications suite and the Consolidated Afloat Network Enterprise Systems (CANES); and renovate the crew’s living spaces aboard the 27-year-old ship. The work is scheduled to be complete in March 2020. BAE Systems’ work is expected to extend the service life of the Gettysburg to 2035.